Author of the highly acclaimed book The Art of Practicing, pianist Madeline Bruser is a Juilliard graduate who has trained in mindfulness disciplines for 41 years. She has performed as soloist with the San Francisco and Denver Symphony Orchestras and has taught workshops at the Juilliard School and other conservatories throughout the U.S. and Canada. Her book has sold 85,000 copies in English and has been translated into Korean, Chinese, and Italian. Madeline’s mindfulness training began at 29, after she had won many awards and prizes as a young artist but was still dissatisfied with how she felt onstage. In search of greater relaxation and confidence in performance, she began practicing mindfulness-awareness meditation, which transformed her playing and teaching. Her book, published in 1997, presents an approach to practicing that combines traditional conservatory training with mindfulness techniques to help musicians release tension and unleash their full potential. Inspired to help more musicians become who they’re meant to be, Madeline founded the Art of Practicing Institute. Through this non-profit organization, she trains performers and teachers to recognize and reverse unnecessary physical and mental tension, prevent and recover from practice-related injuries, and perform with ease, confidence, and communicative power, thereby raising the level of musical performance for the benefit of audiences worldwide. 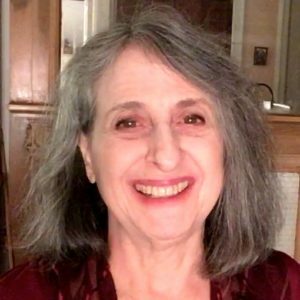 Madeline served on the Committee for Pianists’ Wellness for the National Conference on Keyboard Pedagogy and has retrained pianists with practice-related injuries since 1985. She has presented on injury preventive piano technique at the MedArt World Congress on Arts and Medicine and at Beth Israel Medical Center in NYC. An authorized instructor of mindfulness meditation in the Buddhist tradition, Madeline has presented mindfulness in secular contexts since 1985. She teaches the annual, weeklong summer program “Mindfulness, Confidence & Performance” at Edinboro University. She contributed the chapter “Making Music” to The Mindfulness Revolution, a book featuring the writings of leading experts in the field of mindfulness, including Jon Kabat-Zinn. The audio of her unique Performing Beyond Fear exercise was released in 2017. Madeline has served on the Adjunct Piano Faculty at Teachers College, Columbia University and at the New School University. Her students have gone on to study at the Juilliard School and the Cincinnati Conservatory, and she has taught graduates of Juilliard, the Manhattan School of Music, and other leading conservatories.